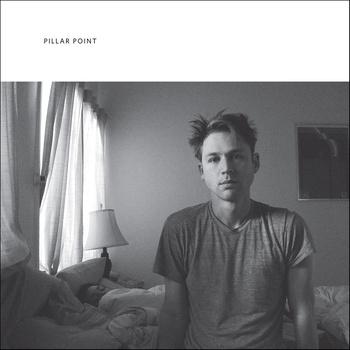 Seattle songsmith Scott Reitherman is better known for being a member of indie pop outfit Throw Me The Statue but he may become even more renowned for his new alter ego, Pillar Point. Emerging from the same Polyvinyl label as the hugely impressive Painted Palms, Pillar Point offers energetic, synth pop music which touches the head and the heart as well as the body. There’s no steady build-up on the new album. ‘Diamond Mine’ goes straight for the jugular with a fizzy cocktail of strident synths, disco beats and a compelling chart-friendly chorus. Reitherman’s dark lyrics but bouncy songwriting makes his songs a perfect bedfellow for Foster The People. ‘Eyeballs’ explores the themes of loneliness and so-called social networks amidst a parade of hyperactive electronica. However, the retro synth pop tones of ‘Cherry’ and ‘Black Hole’ tone down the liveliness, echoing the morning after a trip to the night clubs and the quest for a deeper experience continues towards the centre of the record, peaking with the perfect balance of space and dynamics on ‘Strangers In Paradise’. Some momentum is lost on the more throwaway material at the end of the record; ‘Touch’ amounts to little more than energetic disco fodder and ‘Curious Of You’ at one point borrows the melody from Cyndi Lauper’s ‘Girls Just Want To Have Fun’, but at least he recovers ground for the hook-filled, euphoric closer ‘Echoes’. Spin-off projects don’t always bear fruit but in this case, Reitherman has captured the Zeitgeist. Representing the sugar rush and the eventual comedown, Pillar Point offers alternative dance music with depth which can genuinely appeal to both the young and the old.